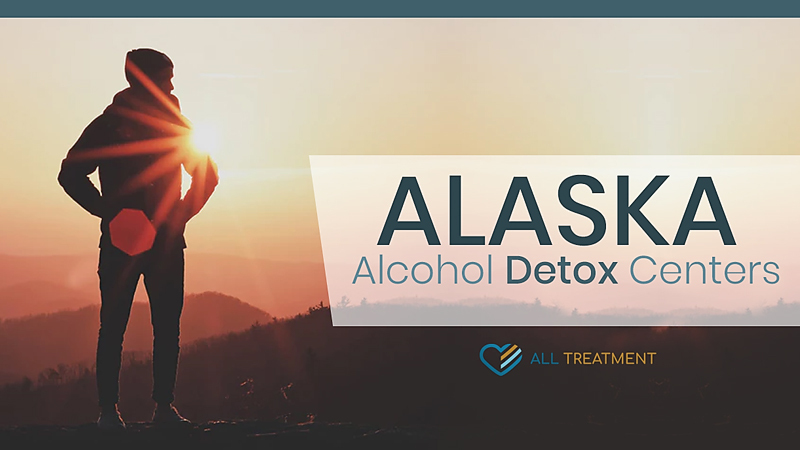 Alcohol detox centers in Alaska serve individuals who need to remove alcohol from their body safely. Most Alaskans who seek alcohol detox suffer from alcohol use disorder or alcohol dependence. Alcohol withdrawal symptoms range from mild to the most severe, with potentially fatal delirium tremens. Alcohol detox centers in Alaska provide a safe environment to get off alcohol while medical staff is available to manage symptoms. The duration of alcohol detox may range from three to ten days, depending on the severity of an individual's alcohol use. Optimally, an outpatient or residential alcohol treatment program should follow detox. Alcohol detox centers may vary in the services that are available to manage withdrawal symptoms. For mild to moderate alcohol withdrawal symptoms, a medically supervised alcohol detox center can provide effective support. More severe alcohol withdrawal symptoms that may include delirium tremens and seizures need to be managed in a full medical detox center where emergency care is available. These facilities are most often located in hospitals, and may not offer recovery tools like alcohol education classes, meetings, and counseling. Alcohol detox centers in Alaska are in high demand as alcohol-induced mortality in the state continues to rank among the highest in the United States. Despite limited public resources, the state of Alaska continuously works to increase availability and access to alcohol detox centers.